Be equipped with the skills to save a life during emergencies. 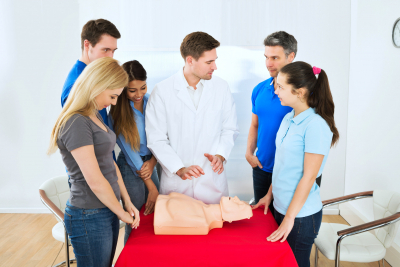 For $40 for this month only, get to receive CPR BLS Certification from Barnabas Health Care School of Professional Studies. Get your certification upon completion of this training program. This program is not only for healthcare professionals. It is available to anyone who wishes to respond to an emergency while waiting for the arrival of emergency services or trained medical technicians. Kindly proceed with our online enrollment or contact 331-550-3615 or 313-952-2699 for more details.